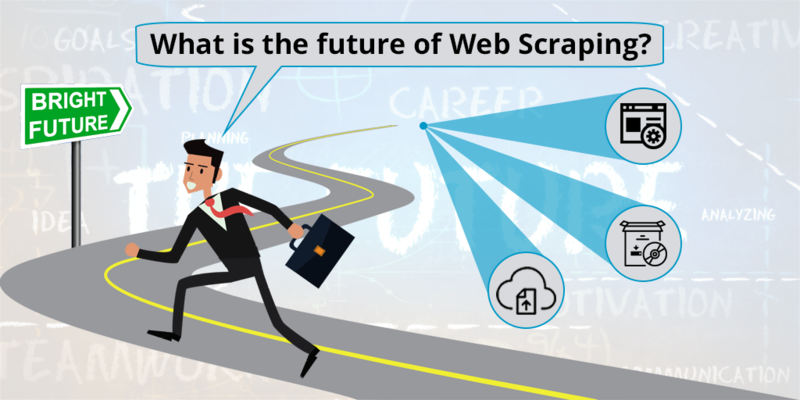 Wondering what is the future of web scraping? Can’t make up your mind which way it will go? In fact, it’s simpler than you think! The future of web scraping is actually linked with the future of web! It is anybody’s guess where web is headed. With 90% of the data piled up in the last two years,web is a giant mechanism absorbing data. Add to this the rise of mobile devices, lightning fast Internet speed and increasingly cheaper Internet access and you have struck the right combination for exponential growth of web and web data. Guess what, since data is getting added at a lightening pace, web scraping is the natural response! As today’s world of business strategy is driven entirely by data, web scraping is only going to grow manifold. Like everything else, business has largely gone online. Whether it is marketing or online shopping, businesses have turned digital. Marketing will solely depend on web scraping going forward. Marketing will thrive from the email addresses and telephone directories scrapped with the help of web scraping tools. Strategy that businesses churn out is also derived digitally through monitoring competitor’s websites and businesses. With the boom in e-commerce, price intelligence has notched up a new level of sophistication. One way or the other, business strategy depends on the analysis of data. And data scraped from where? Of course, the web! The more data there is, the more there is the need to analyze it and derive business insights from it. There will be more and more thrust on analysis of data scrapped from competitor’s websites in order to chalk out one’s own business strategy. New businesses will emerge out of the analysis of data extracted from a host of business websites. Websites that compare prices whether of real estate listings or hotel rooms will thrive more and more based on data. Web scraping won’t be limited to the world of business. It has increasingly expanded to other fields as well. Equity research makes growing use of web scraping to derive new insights into the world of stock market. store visits, social media postings and overall sentiment of the market to arrive at a decision regarding their investment in a particular company or business. Investment is basically about trends and sentiment. If you can gauge the trend and sentiment, preferably before the larger market spots the trend, you can invest early and make huge profits. For instance, you can scrap and analyze customer reviews and learn about the customer sentiment. This can enable equity investors to assess the standing of a company in the market and guide him for further investment in the stock of the said company. Investors are increasingly using social media postings to gather new inputs regarding a company so that they can invest wisely. In fact, there are hedge funds which analyze millions of Tweets to arrive at the market trend and sentiment. Web scraping has fundamentally altered the game of investment and opened up new possibilities of analyzing an investment opportunity. Venture Capitalists are always on the lookout for new opportunities and they need to ahead of everyone in the market. They spot new start-ups and seize the opportunity before the start-up gets the market attention. For this, they do ‘due diligence’ regarding the start-up. There are several start-ups and VCs want to absolutely sure before throwing millions of dollars into a budding enterprise. For this, web scraping comes quite handy. VCs can scrap data regarding their geographical presence and assess the possibility of a company expanding in other markets. VCs can also scrape and study the financial data whether it’s the funding or annual financial statements. In fact, any and every kind of information is valuable because it can throw some new light. The correlation between a start-up and the market trend regarding the products the start-up offers can be gauged through social media postings, patent databases, funding information and equity information of the start-up. A typical VC would want to know as much as possible about a start-up in as less time as possible – which is possible only through web scraping. Thus, web scraping enables them to take informed investment decisions pertaining to start-ups and emerging businesses. VCs that make advanced use of web scraping tools will be able to clinch opportunities before the market even sniffs any of them! As data is needed by most companies doing business or other purposes, there has got to be simpler solution for crawling and extracting data. It is not possible for everyone to possess first-rate programming skills for web scraping. Here’s where companies that provide easy-to-use simple web scraping solutions and tools come into play. With a few clicks, you can extract and store data in a format of your choice! 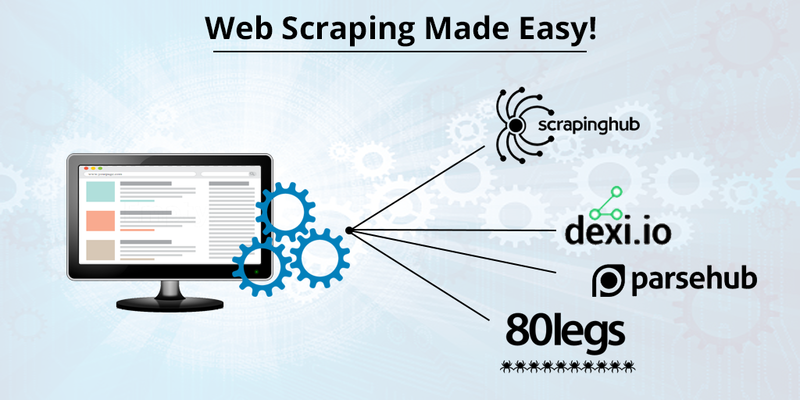 With a host of tools available for different web scraping purposes, it is up to the end user to decide which kind of tool to opt for. Starting with a Chrome Extension to a sophisticated tool for easy extraction of bulk data, you can now utilize tools that fit your scheme of things. In all, the use of web scraping tools is set to grow many times in the future, sooner rather than later. 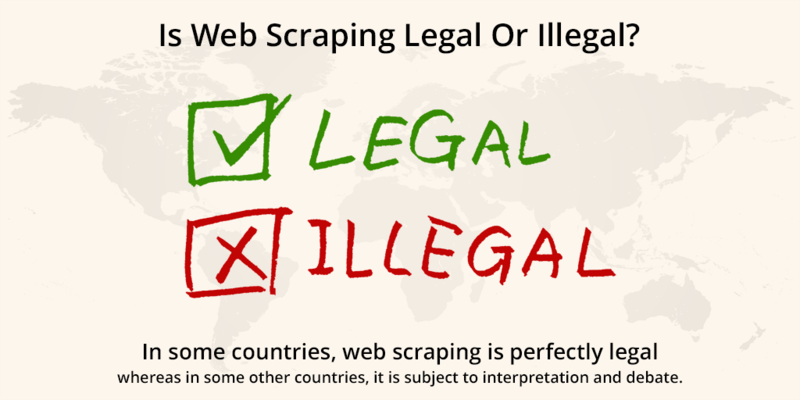 In some countries, web scraping is perfectly legal whereas in some other countries, it is subject to interpretation and debate. Web data seems to be freely available and can be scrapped but there are privacy concerns that need to be considered in the context of a given country. At present, laws pertaining to web scraping are sketchy and there is room for interpretations. How legal or illegal it is, is a debate regarding the legality of web scraping is still alive and kicking! What remains to be seen is whether laws will evolve with the explosion in web scraping. If laws indeed evolve and catch up with web scraping, we will see a considerable decline in web scraping. However, if laws don’t get more stringent any further, web scraping will feast on the web data and grow manifold in the times to come. As we go forward, marketing will become an even more competitive exercise. Those who wish to arrive at a suitable marketing strategy will need to derive deeper insights regarding the market and base their marketing decisions more on data than other aspects. For this, the future of marketing is closely linked with analysis of data aggregated from various media sites, social media platforms, web traffic etc. For instance, you have worked out a product for doctors. Now for marketing the said product, traditional marketers will use advertising to generate leads. In future, web scraping will accelerate the process of lead generation by simply extracting all the contact details of doctors from different sources. Moreover, you will be able to organize this data to suit your marketing requirements as well. In the same way, web scraping can be used for market research and SEO for the purpose of marketing. However, access to all the data required will depend on web scraping. 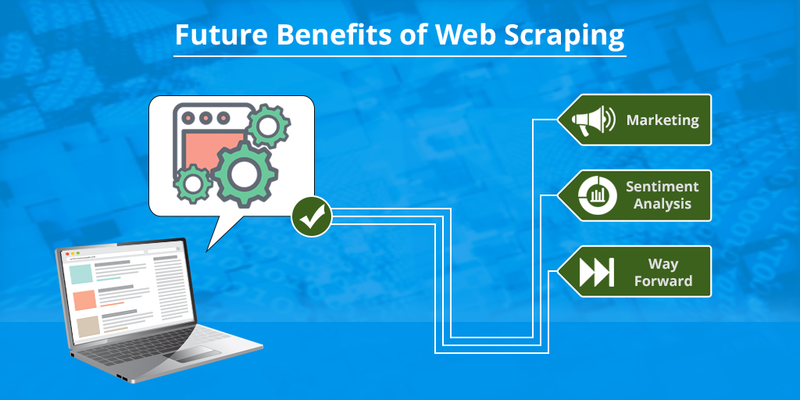 Therefore, the future benefits of web scraping for marketing will be enormous and those who invest in it early will emerge as market leaders in marketing. At present, the trend has started wherein sentiment analysis plays a part in arriving at a strategy. In future, it is set to increase its role in decision making many times more. Going forward, it will become an integral part of policy framing and strategic planning in all fields. To put it in perspective, let’s say, a company launches a new product. How are they going to analyze its efficacy in future? How will they derive insights regarding the product design or service provided? Right now, there are companies that analyze user comments and feedback to learn something new about their products but the practice is not as much widespread. In future, the concept of scraping user reviews, product feedback and service feedback will grow manifold. Going forward, sentiment analysis using web scraping will become a vital driver of policy and strategy. Companies which will invest in web scraping for future will reap huge dividends in terms of sentiment analysis and rich insights into customer expectations and overall customer behavior. Whether perfectly legal or not, web scraping has grown as an essential requirement of a set of stakeholders of Internet. Starting with Google, everyone needs data to process, analyze and streamline information. 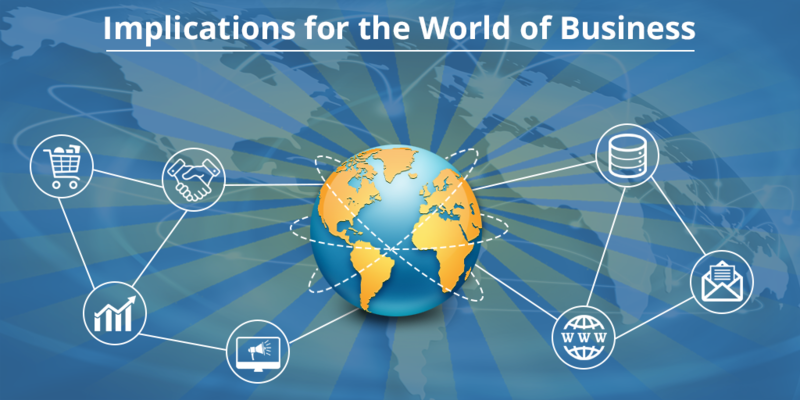 The world of business has become more dynamic and responds to change immediately and at times frequently. The prices keep fluctuating on e-commerce websites and a number of businesses are keenly watching and analyzing this data to rework their own strategy. With the thrust on data mining, machine learning and AI, web scraping seems to have a bright future and will be alive and well for a foreseeable future!